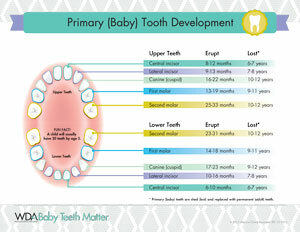 How old should my child be for their first dental visit? According to the American Dental Association, your child should be seen right around their first birthday or six months after they have their first tooth. This visit with the dentist gives you an opportunity to discuss any dental concerns you have. We also go over some common concerns that other parents have had such as pacifier use, baby bottle decay, and grinding. Dr. Long enjoys working with children of all ages, and helping them maintain healthy teeth! Why is it important to take care of my child's teeth? Won't they just fall out? These are the reasons why an appointment with a dentist is so important. Why do I have bad breath and how do I get rid of it? It is estimated that over 35 million Americans suffer from bad breath that never goes away. This does not include the bad breath that you get from eating lots of garlic or onions – that's temporary and easy to deal with. Smoking can also cause this transitory bad breath. What we are talking about is chronic bad breath! Ninety percent of bad breath problems occur in the oral cavity. This problem can be caused by a variety of things. These include poor oral hygiene, gum disease, dry mouth, medications, or even a medical disorder such as diabetes, sinusitis, or emphysema. In the case of bad breath being caused by a medical condition, treating the disease can often times eliminate the cause of bad breath. Regardless of the cause, there are several things you can do to help prevent or reduce the effects of bad breath. First, you need to seek out a dental professional to help determine the cause. Regular checkups will allow us to help evaluate and eliminate potential problems. A checkup every three to six months (need is determined by Dr. Long) can allow us to evaluate you for gum disease, poor oral hygiene, dry mouth or other such problems that can lead to bad breath. Upon examination, we will determine the origin of your bad breath. If the odor is due to periodontal problems or gum disease, we will help you get started in returning your mouth to a healthy status. If the problem is due to poor oral hygiene or heavy plaque build-up, we will work with you to remove the plaque and improve your oral hygiene. It is imperative that you maintain good oral hygiene. This must include proper brushing 2-3 times a day, flossing daily, as well as brushing your tongue. Even those with dentures are susceptible to bad breath. Denture patients must brush their dentures as well as their tongue. They should also remove their dentures nightly and allow their gums to relax. Occasionally, we may recommend some other products such as rinses or special pastes to help control the situation. What is periodontal disease? Is it bad for my overall health? Periodontal disease is caused by certain bacteria. Just as some bacteria in the lungs cause pneumonia and other bacteria cause tuberculosis, so some bacteria in the mouth cause tooth decay and others cause periodontal disease. Both of these oral diseases are bacterial in origin – and when we brush and floss our teeth, we do it to remove the bacteria that cause the problems and to preserve our oral health. In a way, it's like washing our hands. The bacteria that cause periodontal disease like to live in places where there is little oxygen to be found, such as in the crevices around and between our teeth. These bacteria cause inflammation of the tissues that support the teeth — the gums, the bone support of the teeth, and the ligament that holds the teeth in their sockets. Gingivitis refers to inflammation of just the gum tissues. Periodontitis is when the inflammation causes destruction of the bone support and ligaments. The symptoms of gum diseases may be hard for people to detect. In the earlier stages, some people may experience redness, slight swelling or bleeding of the gum margins. This is a sign that something is not right in our mouths and indicates that gingivitis is present. Gingivitis is easily treated. Proper oral hygiene and a routine cleaning of the teeth take care of it. When the inflammation moves deeper, people may lose the signs of gingivitis and not be aware that the infection is causing a slow loss of the support of their teeth. Smoking can make a person more susceptible to periodontitis. Some medical conditions, such as diabetes, also increase risk. In addition, there is recent evidence to suggest that people who have periodontitis are also more likely to have heart disease, stroke, or premature delivery. It is important that periodontitis is detected by your dentist at its earliest, most treatable stage. Establishing good home care is important in treating periodontitis. A more involved cleaning of the teeth may also be needed, occasionally with the help of a local anesthetic. In some cases, minor office surgery may be necessary, to tip the tissue away from the teeth to improve access for cleaning and gain reattachment. In some cases, dentists or periodontists, specialists in treating periodontitis, can even regenerate bone support for the teeth. Tooth sensitivity is caused by the movement of fluid within tiny tubes located in the dentin, or the layer of tissue found beneath the hard enamel. When the hard enamel is worn down or gums have receded, tiny tube surfaces are exposed. Pain can be caused by eating or drinking hot or cold food/beverages, touching your teeth or exposing them to cold air. Some toothpastes contain abrasive ingredients that may be too harsh for people who have sensitive teeth. Ingredients found in some whitening and tartar control toothpastes may increase tooth sensitivity. Use soft-bristled toothbrushes. Avoid brushing your teeth too hard, which can wear down the tooth's surface and expose sensitive spots. Look at your toothbrush and if bristles are pointing in multiple directions, you may be brushing too hard. We recommend you use a soft-bristle toothbrush or desensitizing toothpaste. Desensitizing toothpaste contains compounds that help block transmission of sensation from the tooth surface to the nerve, and usually requires several applications before the sensitivity is reduced. Other options include having us apply a protective coating or fluoride gel to strengthen tooth enamel. If sensitivity is severe and persistent and cannot be treated by other means, we may recommend a crown or root canal to eliminate the problem.